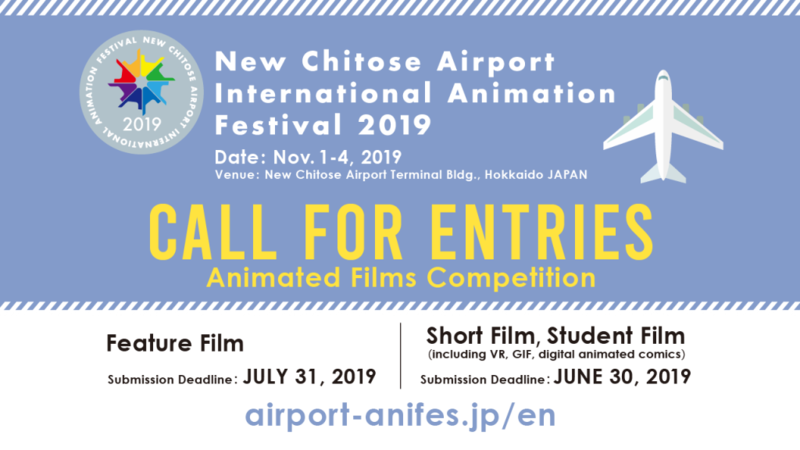 The 6th edition of New Chitose Airport International Animation Festival is held from Nov 1st to 4th, 2019. Last year the festival received 2,043 short films from 86 countries/religions and 49 feature films from 25 countries/regions. Among the winners were Solar Walk (Short Grand Prix, directed by Reka Busci), This Magnificent Cake! (Feature Grand Prix, directed by Emma de Swarf and Marc James Roels) , Autumn from Antonio Vivaldi “The Four Seasons” (Japan Grand Prix, directed by Atsushi Wada), and Snow White Cologne (Best Student Film, directed by Amanda Eliasson). We also accept the submission via FilmFreeway. See you at NEW CHITOSE 2019!